Pints n’ Paws is a unique craft beer festival, one that you can share with your favorite pet! The premise of the event is a festival that you buy a ticket to, then sample fine craft beers and check out vendor booths, all while hanging out on the bricks of 2nd street. Hosted by The West End Trading Co. (202 S. Sanford Ave.) in historic Downtown Sanford, Pints n’ Paws has teamed up with Dolly’s Foundation and Pet Rescue by Judy to raise some money for our four-legged friends — 100 percent of the proceeds from this event go to charity. Advanced tickets are $20 for General Admission and $30 for VIP. On the day of the event, tickets increase $10: $30 for GA and $40 for VIP. 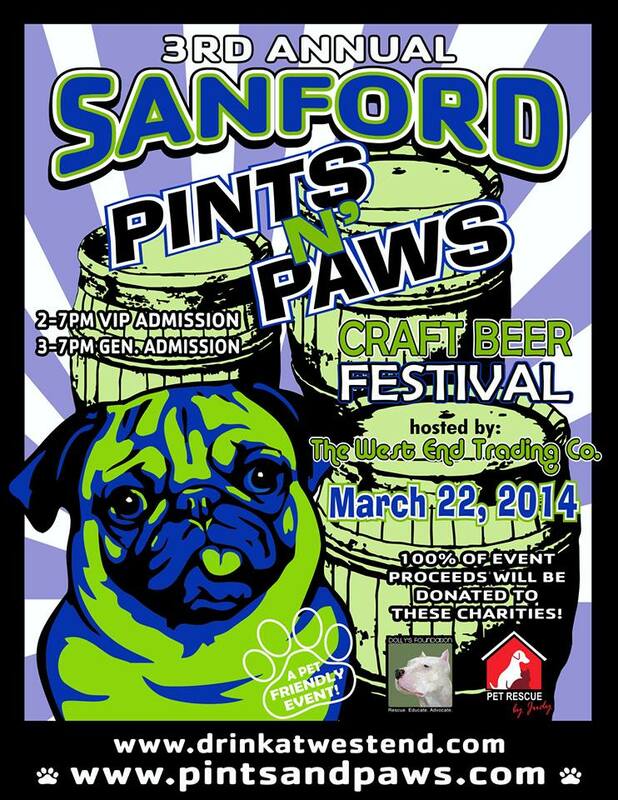 Pints n’ Paws starts at 2 p.m. for VIP, 3 p.m. for all others. For more information, go to the Pints n’ Paws Facebook page.